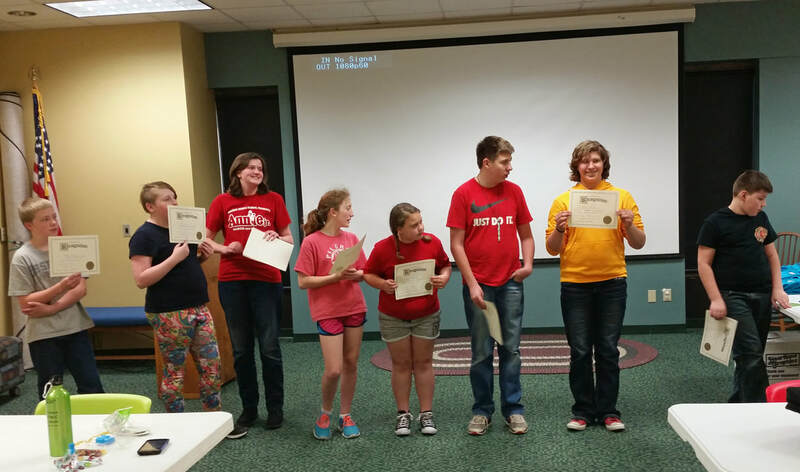 Our Teen Advisory Board (TAB) is made up of students in grades 6-12. The board meets once a month, on the first Monday. TAB members brainstorm ideas for fun teen programming, suggest favorite books to add to the teen collection, participate in events, and lead activities or special programs. TAB Recognition Day is held each May to thank all students who were on the Teen Advisory Board during the school year. TAB Members are automatically part of our VolunTEENS Program. VolunTEENS are students ages 12 and up who help with special events for children & families, including Summer Reading. Are you interested in being on the Teen Advisory Board or volunteering at the library? Fill out the form to the right, or bring a completed ﻿TAB Application﻿ to the teen desk. I want to be on the teen advisory board!